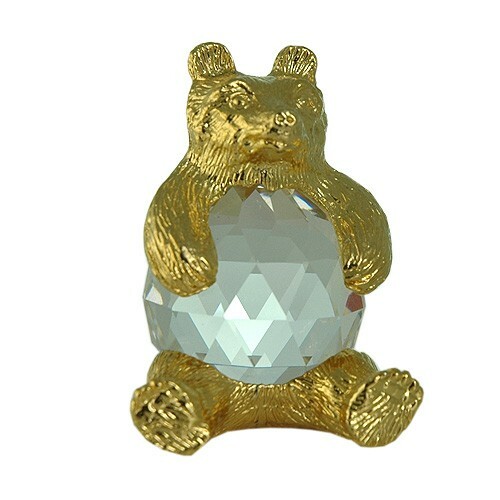 Bear figurine in exquisite Crystal Zoo handmade Bohemian lead crystal collectible. Bohemia crystal set in 24 Karat gold plated metal cast pewter elements. This lovely Paper Weight comes gift boxed and measures approximately 2 inches high by 1 ½ inches wide. The bear is called upon during the dark winter months by warriors for endurance, for more sculptures and statues go to my store, 204, New Vintage Stock.